Offcause Halcyon's Closed Circuit 80lbs. 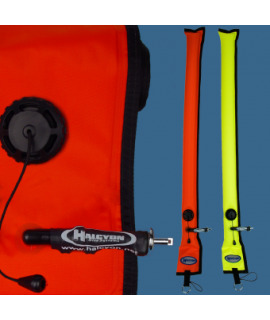 lift bags are still the industry standard for technical applications where precise control over lift and surface control are essential. 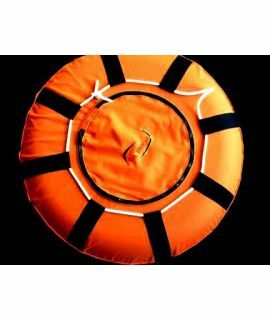 Closed circuit design means the object of a difficult search will reach the surface without the risk of inadvertently dumping, losing buoyancy Safety orange color is easy to spot by passing surface or air traffic Available in 80 lbs. 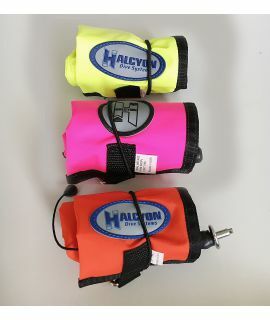 lift capacities All Halcyon lift bags attach to a low pressure inflator hose using a No-Lock connector and can be orally inflated when necessary. Great closed SMB as an alert marker or decompession boje! 25L liftbag, optional with 0.4 L 232 bar mini-cylinder!